AT is a tax on the value-added of the sales of goods or the provision of processing, repair and repair services, and the importation of goods by units and individuals. In accordance with the size of enterprises and accounting is sound, VAT women can be divided into general taxpayers and small-scale taxpayers. Within the territory of the People's Republic of China, resident enterprises and non - resident enterprises are taxpayers of corporate income tax and pay enterprise income tax in accordance with the provisions of this Law. The sole proprietorship or partnership shall not apply to this Law. Resident enterprise: refers to the enterprises in the territory of China, which are legally established in the middle of the territory or in accordance with the laws of the foreign country (region) but are actually simplified. A resident enterprise shall pay enterprise income tax on its income derived from sources within and outside China. Non-resident enterprises: refers to the establishment in accordance with foreign (regional) law and the actual management institution is not in China, but in China set up institutions, places, or in China has not established institutions, places, but from China. Where a non-resident enterprise establishes an institution or place within the territory of China, it shall pay enterprise income tax in respect of its income derived from its territory, its income from China, and its actual connection with its institutions and establishments located outside China. Where a non-resident enterprise has not established any institution or place in China, or has established an institution or place but has no actual connection with its establishment or place, it shall pay enterprise income tax on its income derived from the territory of the People's Republic of China. The enterprise income tax rate is 25%. Where a non-resident enterprise has not established any institution or place in China, or has established an institution or place but has no actual connection with its establishment or place, it shall pay enterprise income tax on its income derived from the territory of the People's Republic of China. The income tax rate is 20%. 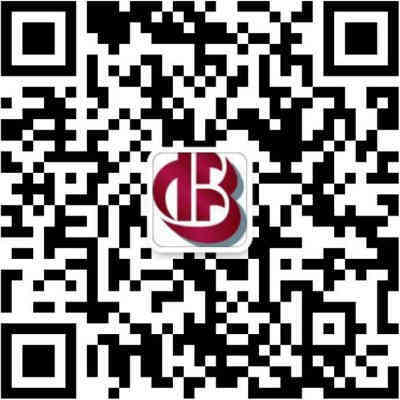 Mainland China tax items, complex taxes, tax burden is not low. The financial personnel of the enterprise shall, through the adjustment and arrangement of taxpayers' production and business activities within the scope permitted by law or within the scope not prohibited by law, to minimize the tax burden. This is tax planning. The permanent representative office of a foreign enterprise is only responsible for the business contact activities between the head office and the customer, and the function of the organization is single. The chief representative is usually the expatriate staff, and there may be other expatriate staffs. What is the personal income tax liability of the foreign employees of the representative office? Determine whether there are special provisions of the tax law. "Circular of the Ministry of Finance and the State Administration of Taxation on the Interpretation of Several Provisions on the Implementation of Tax Treaties" ((86) Cai Shui Xie Zi No. 015) and the State Administration of Taxation issued in 1994 the "Taxable Obligation of Individuals with No Dwelling in China (Guoshuifa  No. 148). The starting point is the same: Foreign nationals who work for a representative office or other institution established in China shall obtain income from it, or their incomes obtained during their employment in the institution shall be deemed to be Institutions, regardless of whether they are paid by domestic or foreign institutions. Therefore, foreign employees in the country during the work, should be borne by the domestic representative office or part of the income borne in the country should be liable to pay taxes. Taxpayers that domestic institutions do not pay foreign employees wages paid by foreign affiliates, foreign employees living in the country for less than 183 days can be exempt from personal income tax, for the permanent representative of the chief representative, this understanding and the "Ministry of Finance , The Circular of the State Administration of Taxation on the Interpretation of Some Provisions on the Implementation of Tax Treaties ((86) Cai Shixie Zi No. 015). If an expatriate holds a concurrent position in a domestic representative office and a foreign company, the salary and salary of the expatriate shall be reasonably divided between the domestic part and the foreign part. Otherwise, the tax authority has the right to approve the domestic income. It is suggested that the representative office should clearly define the income division in the labor contracts of expatriates. Otherwise, the amount of domestic income approved by the tax authorities will be higher, and the tax burden of expatriates will be heavier. In a tax year, if the residence time in China is not more than 183 days, only some of the income borne by the domestic representative office shall be liable to pay taxes while the foreign employees are not liable to pay taxes. If the expatriate is also the chief representative of the head office of the head office in China, it should also divide the domestic income and the overseas income according to the above principle. The SAT does not specify whether the income should be divided among different representative offices or not. (Guo Shui Fa  No. 162) stipulates that if the taxpayer obtains wages and salaries from two or more places, the taxpayer shall choose and fix the tax return to one of the places where the unit is located The competent tax authorities to declare, so the wages and salaries in any case does not affect the calculation of personal income tax. However, the division of the staff salaries of the representative office has affected the calculation of the sales tax and income tax of the representative office, especially for the representative office which is converted to income according to expenses. You need to pay special attention to the local tax department of the relevant tax treatment requirements. 《Article 1 of the Provisional Regulations of the People's Republic of China on Business Tax: Provided in the People's Republic of China for the provision of services, transfer of intangible assets or sales of immovable property units and individuals for the business tax taxpayers shall be subject to business tax. Business tax withholding agents: units or individuals outside the People's Republic of China to provide taxable labor services, transfer of intangible assets or sales of immovable property in the territory without an operating agency, with its agents in the territory of the withholding agent; Agent, the transferee or the purchaser as withholding agent.